The customer is very happy with this updated system that employs state of the art technology. ENECO Energie is one of the three major energy companies in the Netherlands. The company provides an integrated range of services based on the transportation and supply of electricity, gas and heat, and associated services such as metering, installation and invoicing. In all, ENECO Energie serves some two million business and household customers. "Yokogawa's proposal was based on the most complete and integrated system, with all components highly matched to work together." The ROCA power station near Capelle a/d IJssel, The Netherlands, burns gas to generate electricity. The resulting heat and CO2 are essential to the growth and photosynthesis of plants. ENECO Energie built a pipeline network to transfer this heat and CO2 to the greenhouses of 138 market gardeners in the Bleiswijk district. 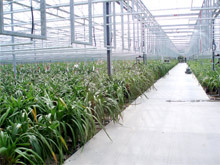 To regulate the transfer of heat and CO2, STARDOM FCN autonomous controllers were installed in each greenhouse, and FAST/TOOLS was installed at the central control room in Rotterdam to perform data acquisition and remote monitoring and control. 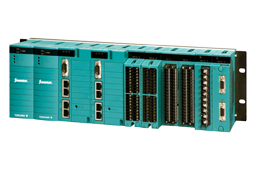 The deciding factor in opting for Yokogawa's solution was the use of GPRS for (TCP/IP) network communications between the local STARDOM controllers and FAST/TOOLS. Modern technology replaces the outmoded combination of telephone lines and fiber optic cables. Besides reducing the costs of cabling, this new method of communication is also much more reliable. "With the GPRS network, the error-proneness of the fixed lines have been eliminated. To enable communication with the GPRS network, the STARDOM controllers are each equipped with a mobile communication module. This then transmits the I/O's to the Rotterdam head office over the GPRS network." The customer preferred to continue using existing cabinets, CO2 meters, and energy totalizers. 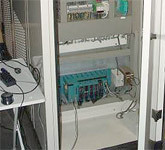 The STARDOM controllers fit perfectly in the cabinets and connected easily to this previously installed equipment. "Each site controller is installed in an existing cabinet, and controls both the heat (temperature and supply) via a plate heat exchanger, and the CO2", explains Mr. Van Koppen. 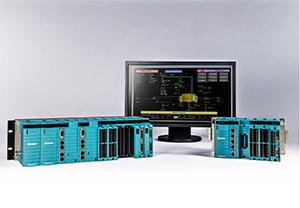 The FAST/TOOLS package that performs data acquisition and control functions from the central control room features a web-based implementation that enables a standard browser to be used as the control system interface. FAST/TOOLS also provides a link to the ENECO website. The market gardeners can make heat and CO2 settings and view a number of parameters via the Internet. No specialized software is required on their PCs, so there is no need to worry about software maintenance. "The growers can login to our site via the Internet, so that they can view a number of important parameters related to the functioning of their own delivery station." The ENECO Energie heat and CO2 network is a typical small-scale process that calls for an off-the-shelf industrial automation system with fast-track implementation. Although the project was quickly implemented, Yokogawa was able as a system solution provider to guarantee a long-term service contract to this customer. If you would like to know more about the ENECO project from the application point of view, please refer to the ENECO Energie application note.